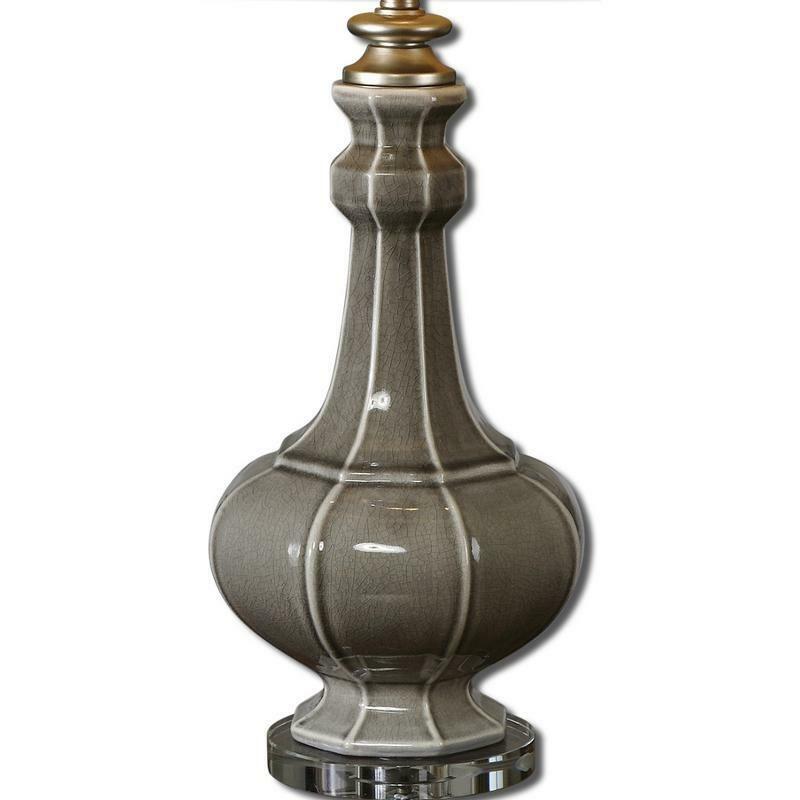 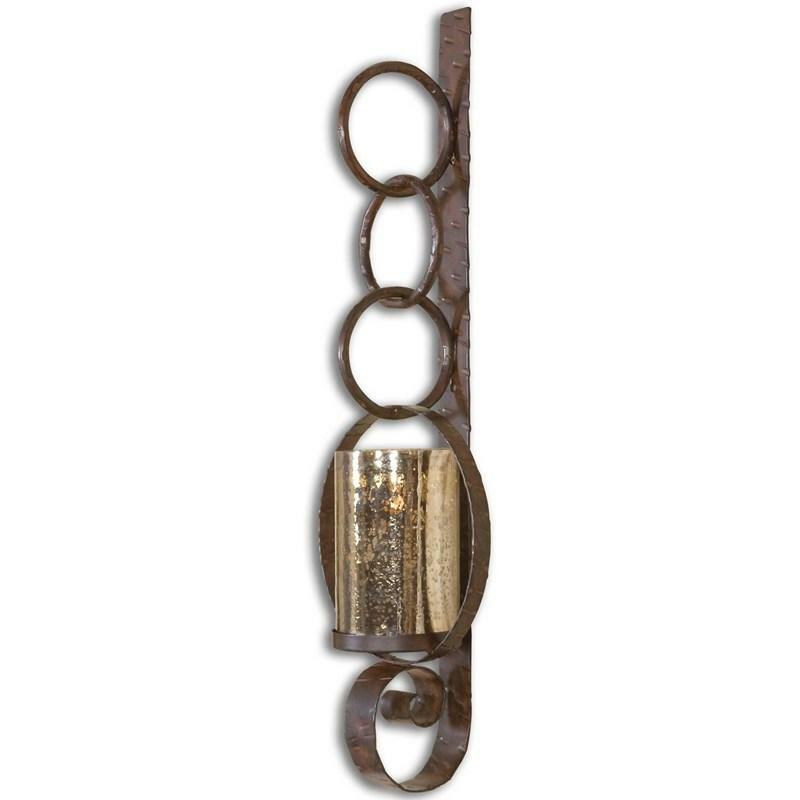 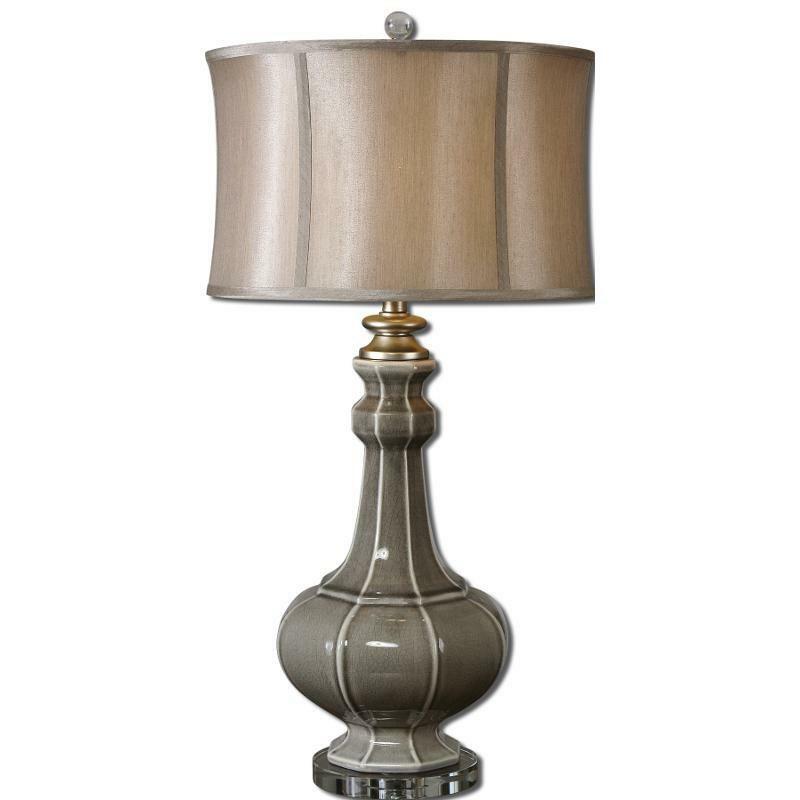 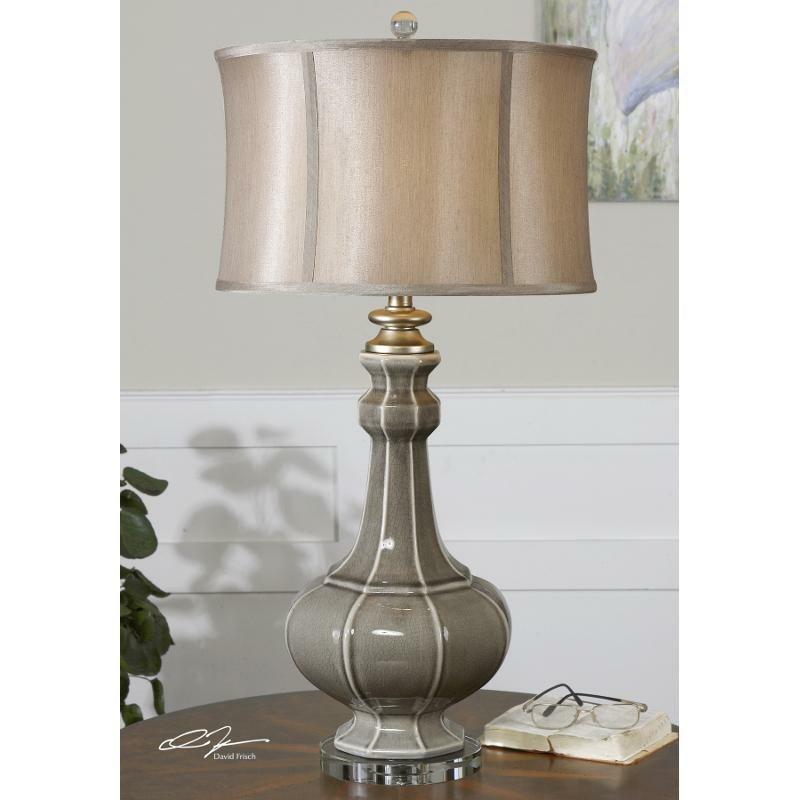 The Racimo table lamp from Uttermost features crackled gray ceramic with ivory undertones, antiqued silver details and a crystal foot. 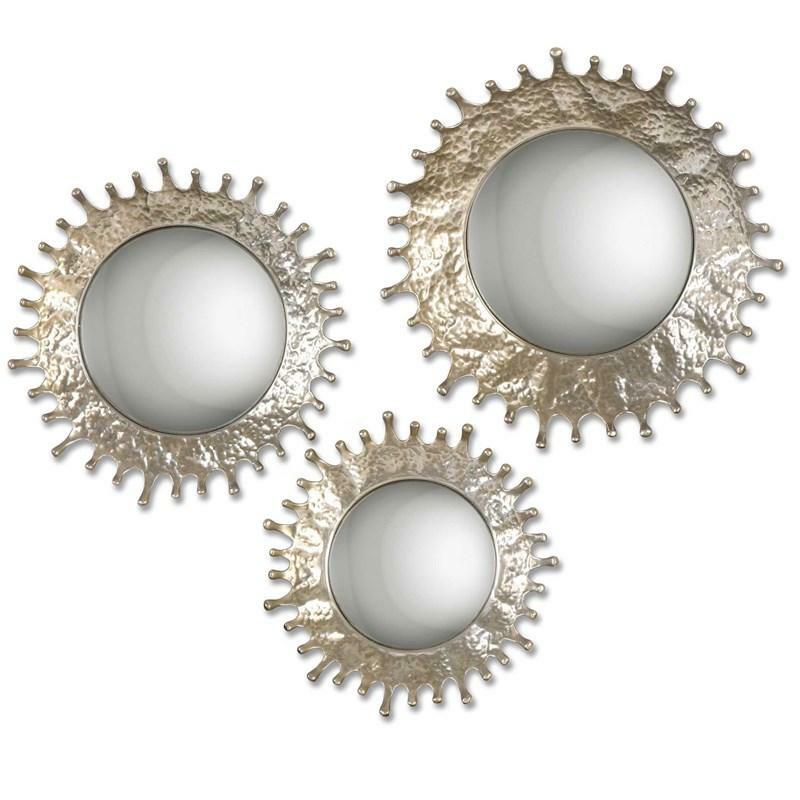 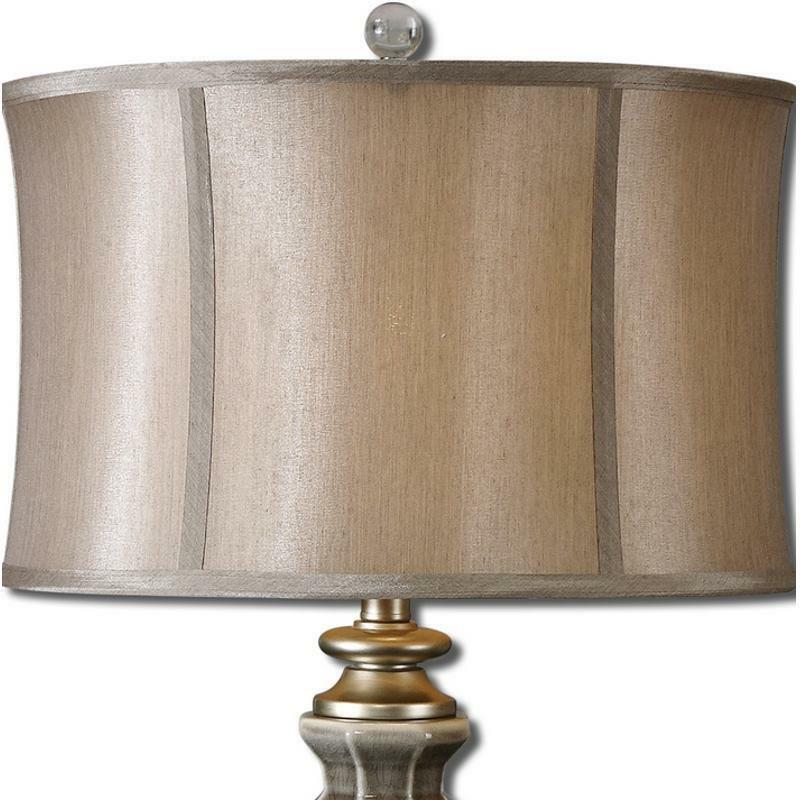 The round modified drum shade is a silken champagne bronze fabric. 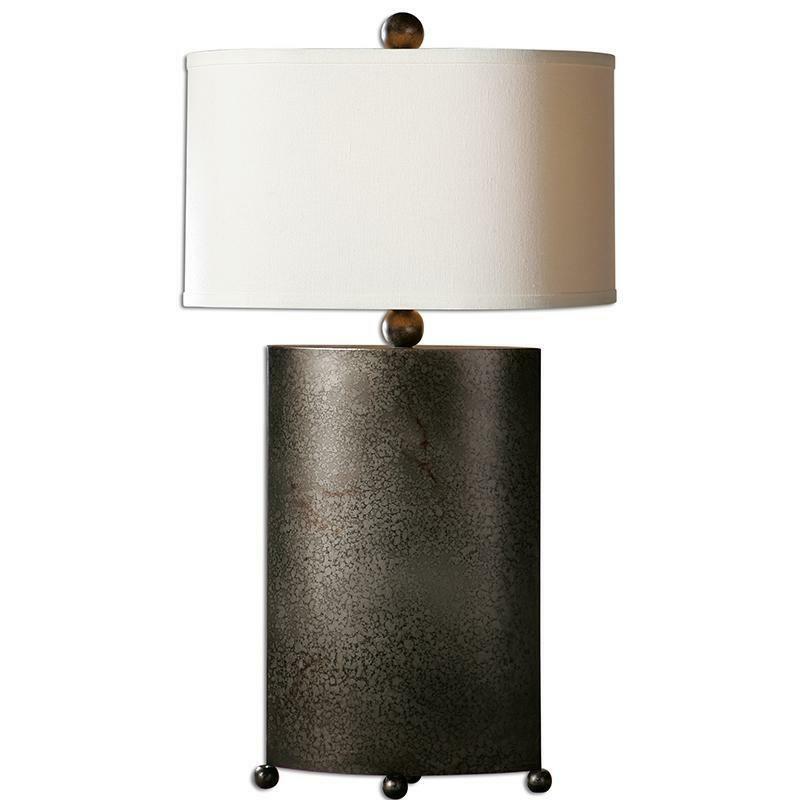 Additional Information: Designed by Carolyn Kinder; Mottled rust silver with burnished accents; The oval hardback shade is a white linen fabric with natural slubbing.